After leaving the Sisters of Mercy in 1986, Wayne Hussey and Craig Adams formed The Mission UK. It was apparent that The Mission UK would become legendary, for even before they were signed to a label, a buzz began circulating around their self-released Serpents Kiss and Like a Hurricane, which propelled them onto a European tour as the support act for The Cult. Shortly after the tour ended, The Mission UK signed a record deal with the UK label Phonogram Records (now Universal Records). After releasing their first single in 1986, "Stay With Me," The Mission UK found themselves sitting on the UK chart at number 30. Their debut album, God's Own Medicine, followed later that year and entered the UK chart at number 14. The Mission UK were on their way to becoming 'cult' legends. Over the next six years, The Mission UK released six more albums and increased their fame with ten more hit singles (including "Wasteland," "Tower of Strength," "Beyond the Pale," "Deliverance," and "Butterfly on a Wheel"). Countless tours with U2, the Cure, Robert Plant, and many more notables, along with headlining the infamous Reading Festival in the UK twice, The Mission UK enhanced their reputation as one of the best and most exciting live bands in the world. Their total worldwide album sales skyrocketed to over 3,000,000 units. 1994 proved to be a crucial year for The Mission UK. After releasing the Sum & Substance greatest hits compilation, The Mission UK parted ways with Phonogram Records and signed with Sony Dragnet Records in Germany to release the Neverland album. Two years and two albums later, The Mission UK decided to leave all the craziness behind and disbanded for a little r&r. Reuniting in 1999, fully reinvigorated, The Mission UK performed several spectacularly successful shows. The reaffirmation was incredible and helped launch their grueling Recon 2000 tour across the globe. The tour included appearances at the Eurorock and M'era Luna Festivals, which brought them back to Europe after the tour for an additional European tour in November and December of 2000. 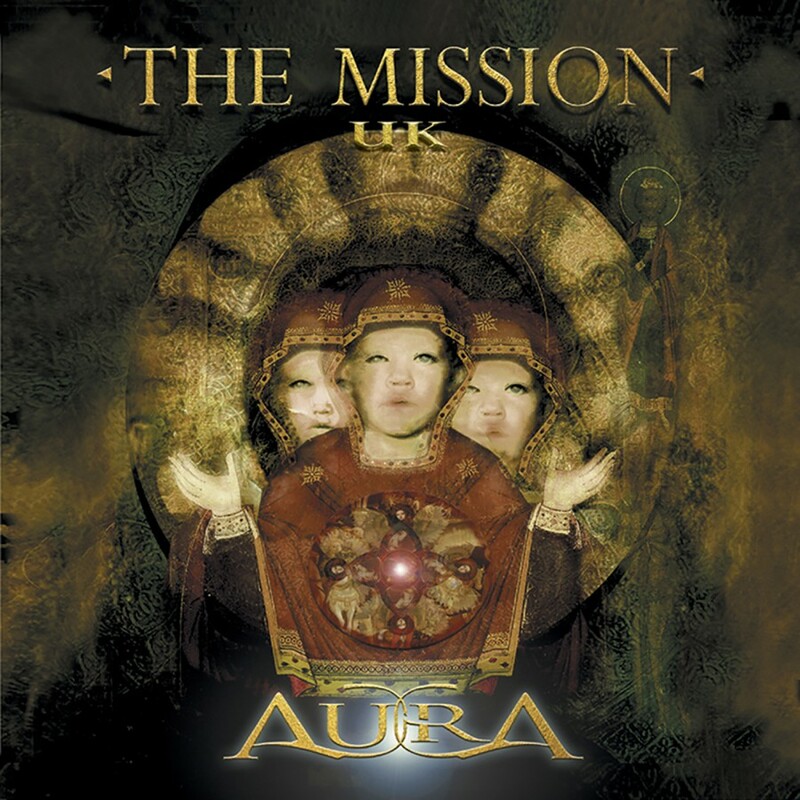 Deciding it was time for another album, The Mission UK signed with Playground Recordings in the UK to release the Aura album in 2001 for Europe, and Metropolis Records in 2002 for North America. Leaving behind everything the band had done in the previous ten years, The Mission UK returned to their trademark sound and in the process reawakened the sensations thought to be buried forever. With guitars, mystic hymns, sticky lyrics, and intricate electronics, Aura can easily compete against its best predecessors. Produced by Wayne Hussey and mixed by Dave Allen (Cure, Sisters of Mercy) and Steve Power, the album marked an exciting new era for the art/goth/rock band. Amazingly enough, not only does Aura have the potential to reach a new generation of black-clad admirers, but break though to the mainstream as well, tugging for the attention of fans of The Cult, Aerosmith, Sisters of Mercy, The Wallflowers, and U2.